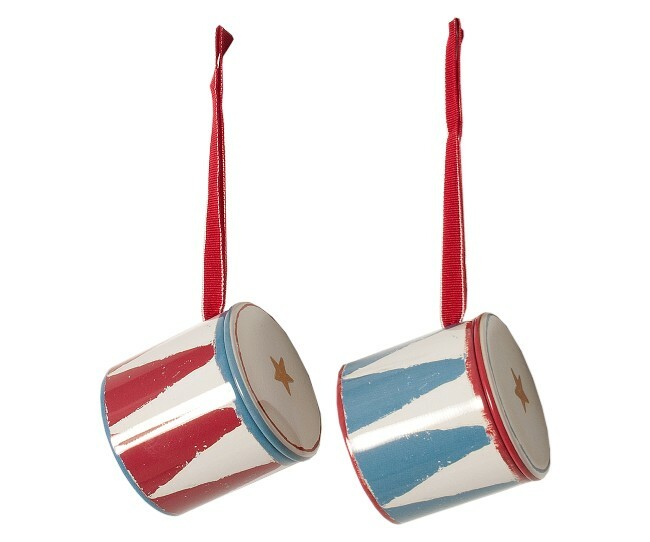 Set of 2 drums with suspension for the Christmas tree. 2 assorted, red and blue. Size drum approx . : H 4.5 x D 5 cm.